After many months of querying agents, I’ve accepted representation with an exceptional literary agency in NYC! (Inkwell Mgt, Kimberly Witherspoon and Allison Hunter the Great!) That sounded so easy, didn’t it? So cut and dried. God, what emotional highs and lows I’ve enjoyed and suffered during those months of waiting. The requests for submissions, the rejections. In the end, my agents came from a personal referral. Sometimes–often, it still comes down to who you know to get a foot in the door. 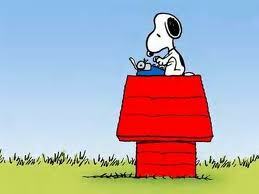 Of course, it also requires writing a good book, and then rewriting it yet again in my case. Thanks from the bottom of my heart to my personal referral. She knows who she is. I dare not expose her lest she be beset with a hundred requests for personal referrals. I’ve written synopses for my next two books in preparation for our first round of submissions by my agent to editors at publishing houses. This will begin next week. Eek! It’s getting real now, people. Can I say right now that I love my agent(s)? I do. Allison Hunter, people. She’s the bomb. I’m headed to NYC in a few weeks to meet the team in person if. I’m also hooked up for a ground zero tour, which should be awesome. During all of this excitement, I had my face bombed–I mean lasered. It was a big deal, and I’m on my way to looking younger. But let me just say, it wasn’t for the faint of heart. Though my surgeon was wonderful and I’m going to totally dig the results in a few weeks, it’s a process. So, off I go into Spring with my new skin, my new agent and dreams of a book deal. Now, if it would only warm the heck up! I’m tired of freezing. Have a wonderful weekend with endless possibilities of you own!! Previous Gone to the dogs! A year and counting. Next Today I bought candy! Caution, Easter Bunny spoiler alert! We’ve already talked on the agent news-congrats again! Now I want details on the lasering! Thanks! Google CO2 fractional laser resurfacing. We will talk! Amazing working!! You desrve it. Amazing work!! You deserve the best and the best deserves you. It’s been a long process and I’m hoping for the best! Thanks for the kind words.